If you homeschool like we do, you're probably teaching several grade levels at once. For this France Country Study Lesson, we've found worksheets and activities that work for toddlers to tweens to teens. Scroll down for Videos on the French Revolution, French Word Search Printables, Famous Artists, Art Projects, and Games they play in France. School teachers, you'll find fun classroom activities and worksheets that work in a classroom setting too. Enjoy! 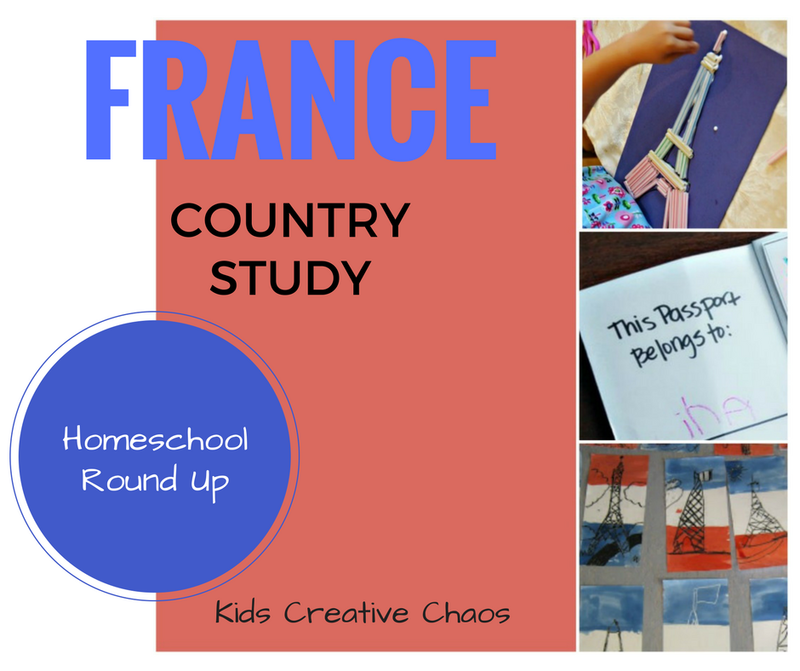 France Country Study with Worksheets. Quick Facts about the Country of France. Learn to speak French for Free with the Duo Lingo App. 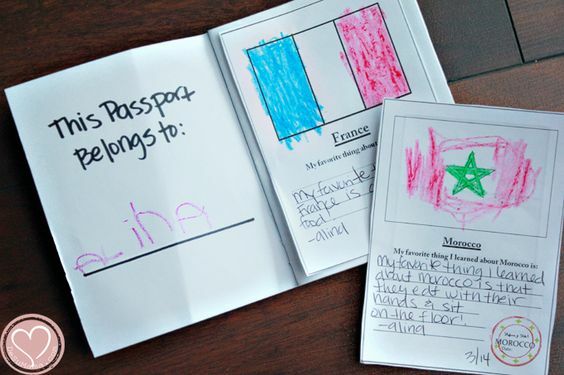 This French Flag bookmark craft project from, Start at 5, works for preschoolers to high school. For Elementary and Middle School, Make a Passport like this one from De Su Mama. Printable Passport Activity from De Su Mama. 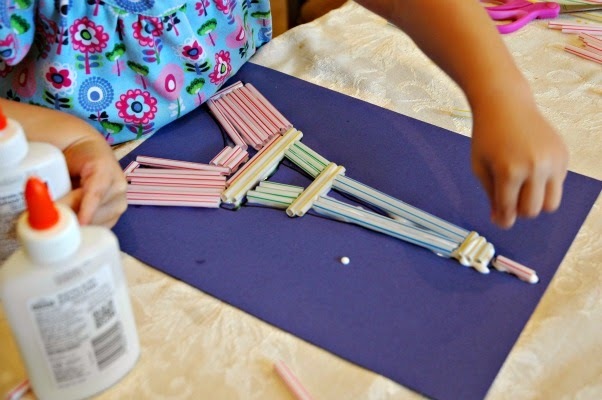 Make an Eiffel Tower with bits of colored straws like this one from Cutting Tiny Bites. While this craft activity is fun for elementary, it also aides preschoolers in fine motor skills. French Revolution Worksheet for Middle School and High School. Choose a Famous French Scientist and write a Biography. Hopscotch: This game is played outdoors on a flat, paved surface, but you can paint an old sheet or use cardboard squares to play indoors. You can also purchase a hopscotch board for indoor or outdoor play. Each player needs a small item to toss onto the hopscotch squares. Rocks or quarters work well. Not sure how to play? Get the rules to hopscotch. La Semaine or "The Week" is played with 1 or more children with chalk and a pebble (pennies work too). Use the chalk to draw seven squares in a row. Label each square with a day of the week. Now, a player throws their pebble into the Monday box. If they miss, it is the next player's turn. If they hit it, they must jump on one foot to get to the stone, pick it up while still standing on one foot, and then jump back to the start. Players repeat for each day of the week (seven times). Repeat the task every time a mistake is made. For example, they trip or hop on two feet. Game is won when one player covers all squares and makes it safely back start. French Cricket You will need a Cricket bat or tennis racket and ball. Players stand in a circle. The first player stands with their feet together, defending the 'stumps,' which in French Cricket are the batman's legs below the knees. Now, the players in the circle take turns to bowl at the 'stumps' and the batsman must hit the ball away from them. The bowler gets clever to distract the batsman. If the batman's legs are hit, he's out. He's also out if he moves his feet at any time from the original position. If the bowler, or any of the fielders around the circle, catch the ball before it hits the ground, the batsman is also out. Everyone takes a turn until the batsman is out. The bowler who 'stumps' the batsman takes his place. Paint like Matisse with this Still Life Art Lesson for Kids. After you've learned all about France, get a taste of their culture and celebrate by making French Recipes. Enjoy these French cooking lessons and recipes for kids.